the world in which we live." Our media making internship tasks - collated, collected and created. The interactive image is available at WordArt.com here. Frank W. Baker, author of Media Literacy in the K-12 Classroom explores the world of visual literacy on his site Media Literacy: Visual Literacy. He examines how images are 'read' through a process of understanding, interpreting and evaluating. Elements that impact the 'reading' process include angle, framing, lighting, focus, and composition. (Baker, p. 47). Manipulation of images, believing what you see, and producer's perspectives (political, advertising) are also explored. Baker ends this chapter with a look at editorial cartoons and graphic novels. An interesting example of critical analysis with visual images can be done with "What's Going on this Picture" where an image is posted each week for discussion. Photographic Thinking: PhotoWings at TEDxAshokaU from PhotoWings on Vimeo. To develop an understanding of the importance of visual literacy, let's enjoy a visual story titled Eye of the Beholder written and created by Doug Urquhart and posted to Vimeo. As you view this video, consider the images from an 'eyes wide open' perspective. What messages do these visual images impart? How do the images connect to the 'story'? Underlying our understanding of how visual images create story is the semiotics (study of signs) of meaning, content and context of photographs. Claire Harrison's investigation into the understanding of how still images make meaning provides insight into how social semiotics are applied to icons, index and symbols. Use this Explaining the Image worksheet to conduct an investigation into the story behind an image. Use the New York Times Picture of the Week collection where students can respond to the question prompt "What's going on in this picture?" to find one of your own. 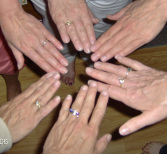 Share your insight, interpretation or evaluation of visual images with the whole group. A sample worksheet to work with students on camera angles is included in the Ontario Online Teaching Resources for Media Literacy. 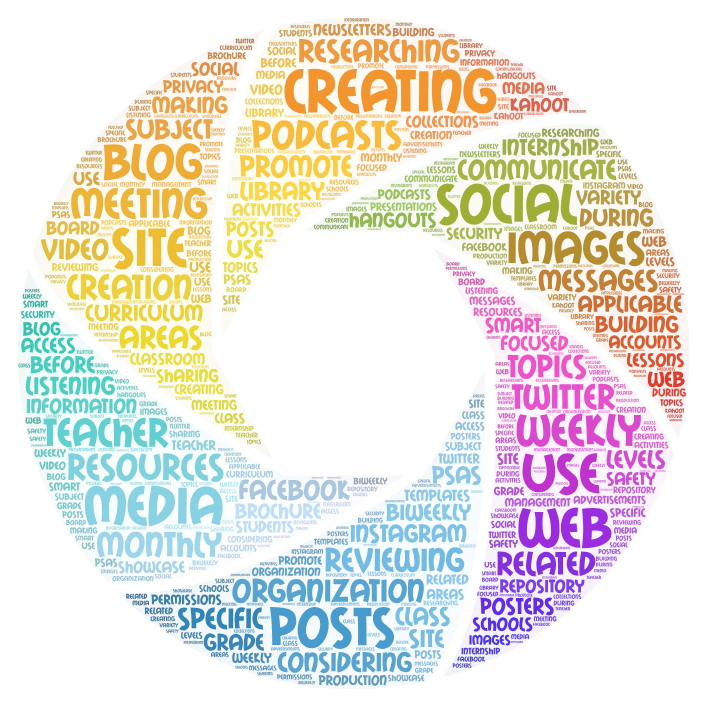 Reflect on the process of creating and storing visual images for a variety of purposes and audiences. 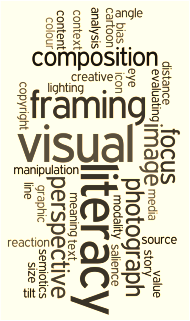 How does this process change your perspective of visual literacy for your students? One example shared by Sharon Drummond done by a student in Book Creator where image capture using photographic techniques were applied - See Arthur's Photo Book. Take a photo that emphasizes mostly dark tones or mostly light ones. Considering these videos, it's time to consider how the media triangle influences visual images as they tell a story. Collaborate with a classmate to create a story from visual images using a process known as '5 Card Flickr'. You do not need to log in to create. Select the Random Story option in the menu and create a unique story using the five images you have been given. You can create your story as a slide presentation. Be sure to read some of the creative stories posted under the GALLERY OF STORIES tab on the menu bar. Connecting to national and global projects can be intrinsically motivating and extend the impact of visual images. Using images as a means to engage students in examining and exploring cultural diversity can extend and open conversations. The Ministry of Education's Culturally Responsive Pedagogy monograph outlines key features that can shape how lessons integrate media and visual literacies. Examine the purpose, tasks and opportunities for ONE of the following global project spaces. ​How might these types of projects be used in your teaching practice? How would this impact culturally responsive pedagogy. More information about culturally responsive teaching and learning is available on the Edutopia blog. We'll begin planning some lessons that are found in the Media Smarts bank of lessons with a focus on visual literacy and images in media. The lesson you select will then be formatted using the Lakehead lesson planning template. Making lessons work for you, your students and your context is an essential practice in lesson planning. Post your lesson plan into the shared lesson plan folder provided.